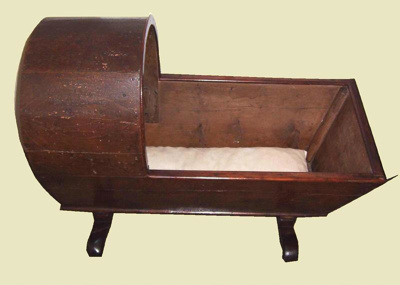 Wooden babies cradle with cushion. Made by Alan McDonald who emigrated from Ireland to Totara Flat (Grey Valley) in the 1870s. The pine was painted to look like oak and the cradle was used for all of McDonald's eight children.